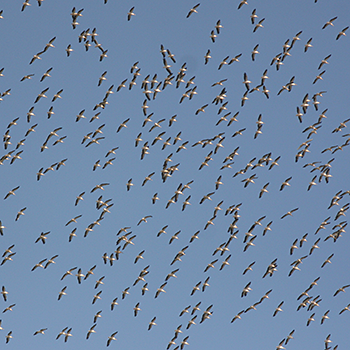 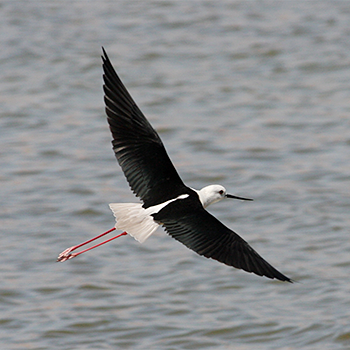 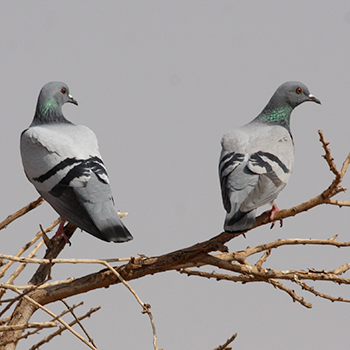 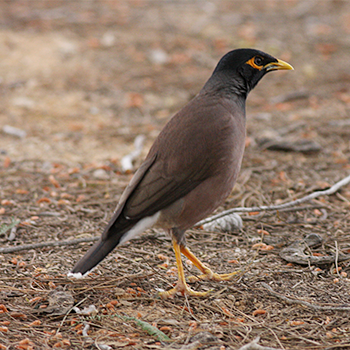 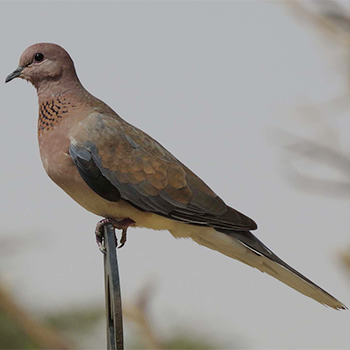 Birdfinders returned to the migration wonderland of Israel in 2016. 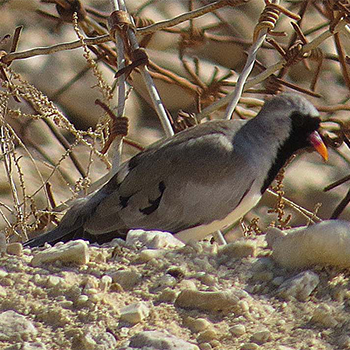 Many key ingredients for a good birding tour come to the surface in Israel – superb avian diversity, outstanding migration, much-sought-after WP rarities, wonderful desert scenery, excellent amenities and food, and surprisingly helpful and friendly people – this year was no exception. 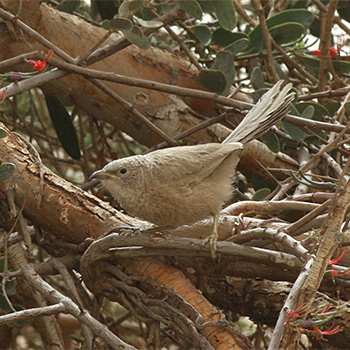 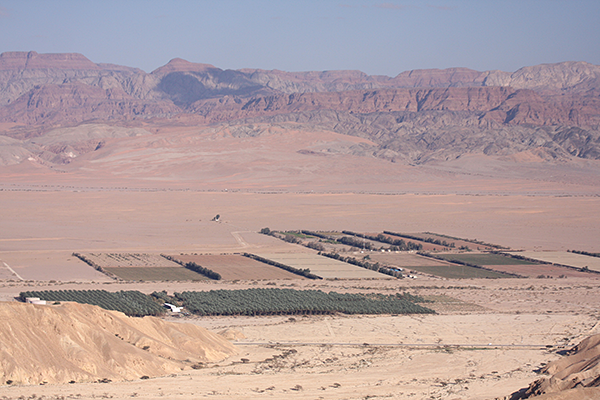 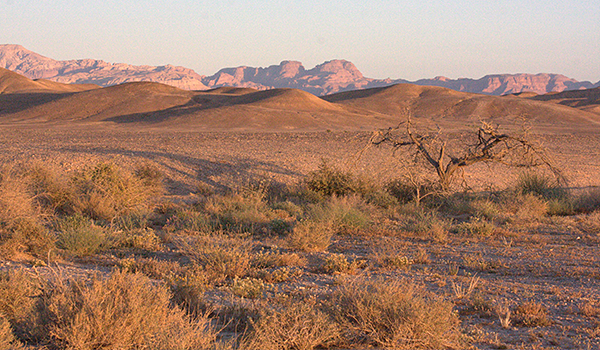 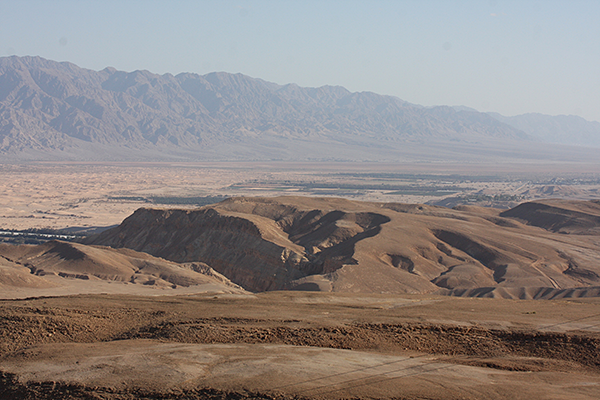 The desert surrounding Eilat was exceptionally green this year, subsequently pulling many migrants away from the known key hotspots along the Arava Valley. 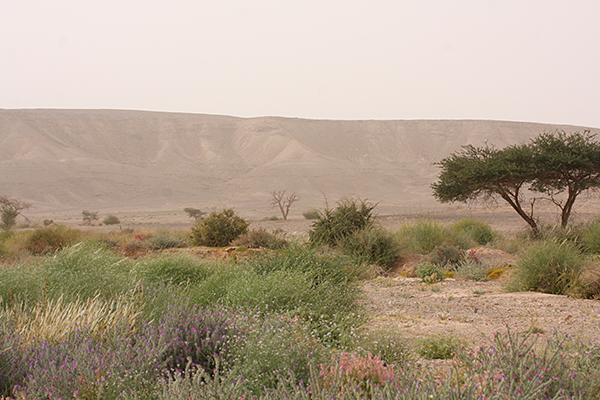 On the other hand, this in turn gave our group a great opportunity to see several desert localities that we wouldn’t have normally visited. 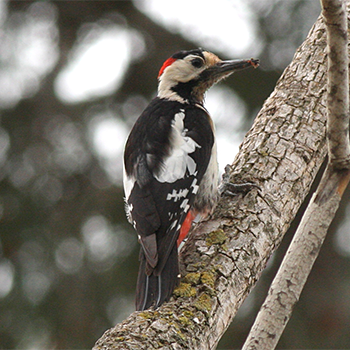 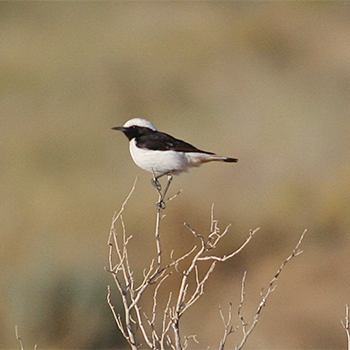 These sites were both picturesque and full of birds! 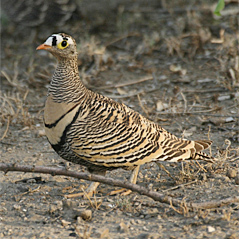 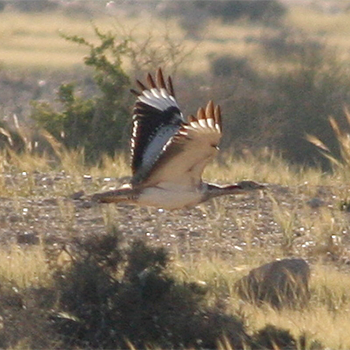 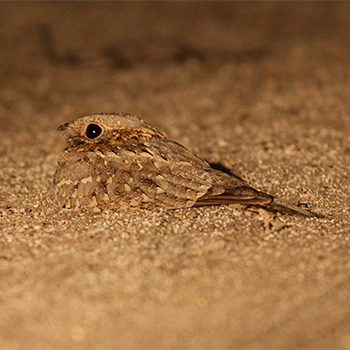 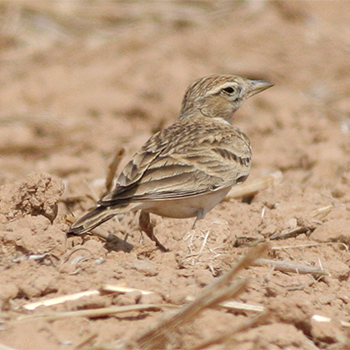 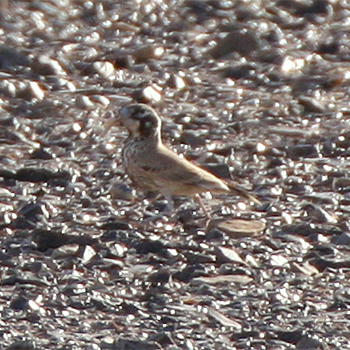 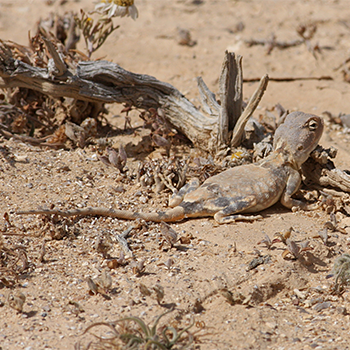 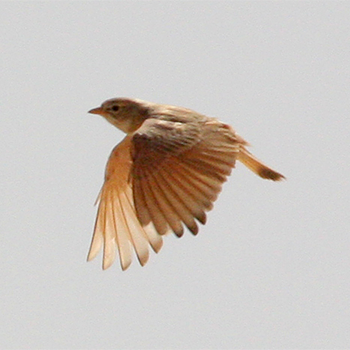 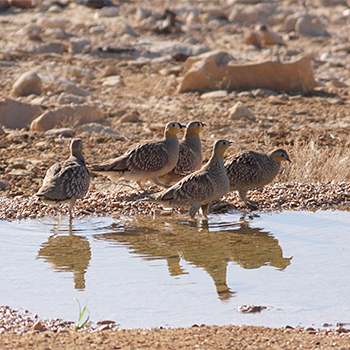 We found evidence of breeding Thick-billed Larks, lots of a Bar-tailed Larks and a pair of Greater Hoopoe-larks. 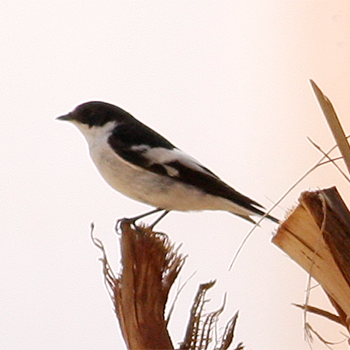 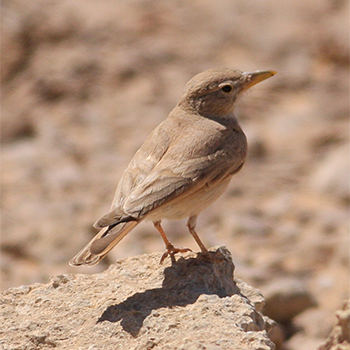 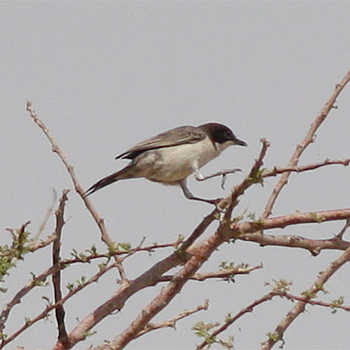 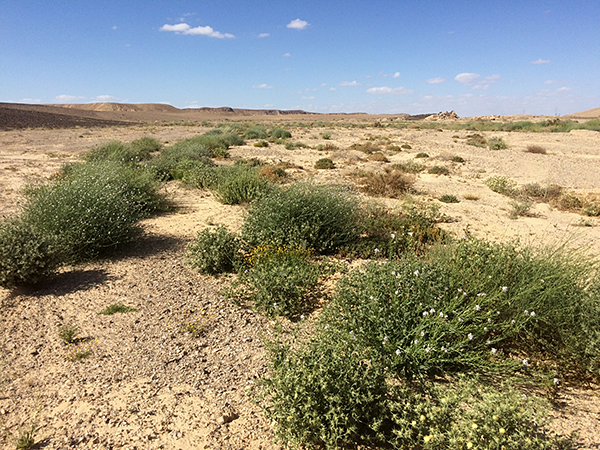 The shallow wadis on the desert plateau held most of the migrants, plus we did especially well in seeing Asian Desert Warbler and Scrub Warbler at several locations. 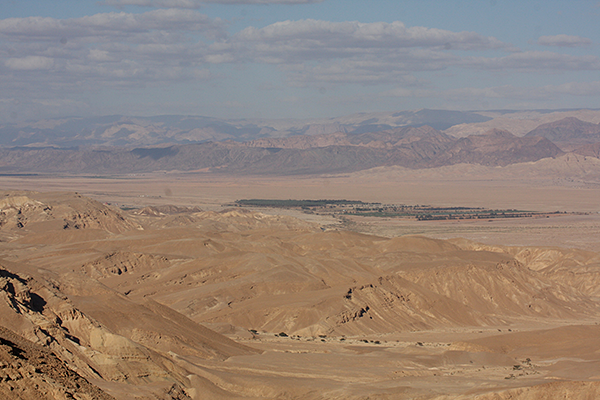 The tour was characterized by five nights in Eilat and two nights at a Kibbutz in the Western Negev. 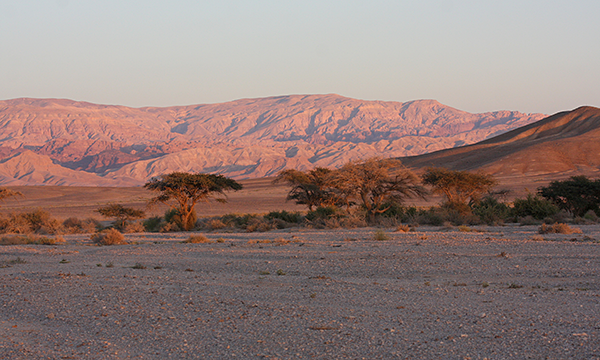 Both locations did us proud for different reasons and both accommodations were favorably received by our group. 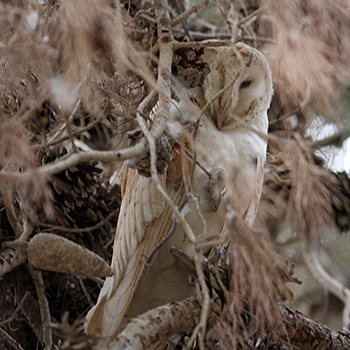 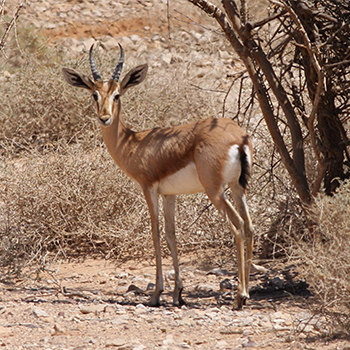 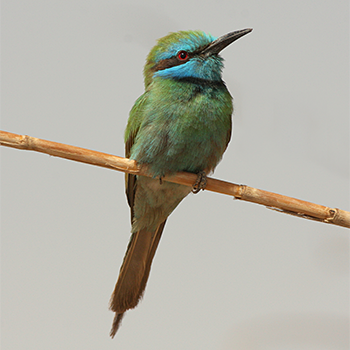 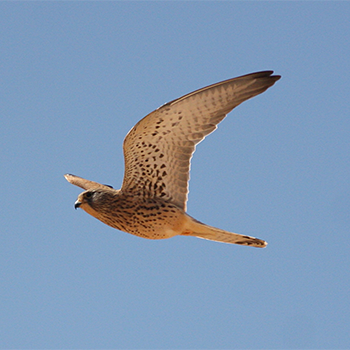 The Kibbutz in particular had terrific on-site birding (Long-eared and Barn Owls, Stone Curlew, Syrian Woodpecker and Great Spotted Cuckoo), while the hotel in Eilat was nicely situated on the edge of town within comfortable walking distance of the famous North Beach. 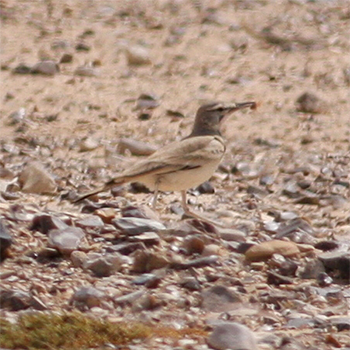 Many of our party took advantage of this with a pre-breakfast stroll down to the beach and surroundings including the local soccer field which often held various forms of Yellow Wagtail as well as Red-throated Pipits, Tristram’s Grackles and even a Citrine Wagtail. 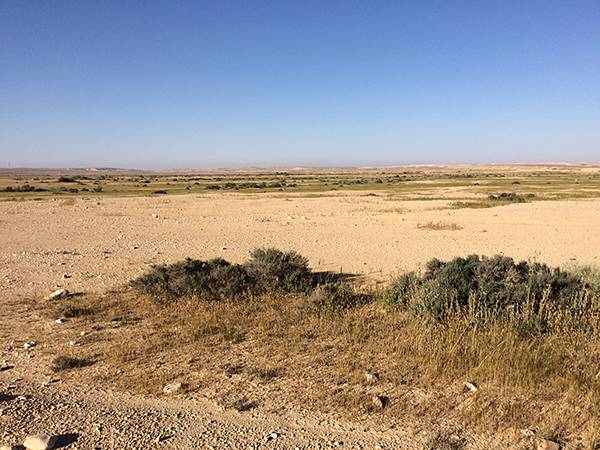 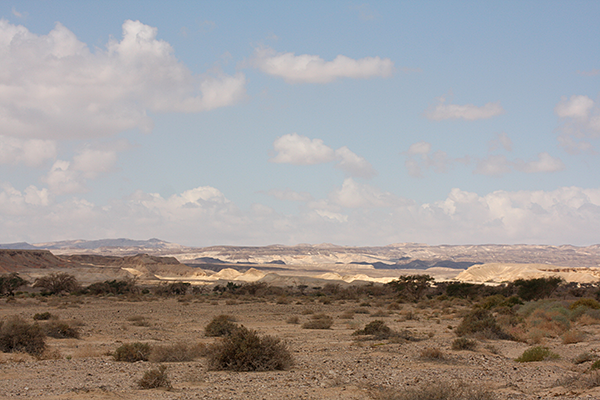 The journey north to the Kibbutz deviated from our normal route across the Negev. 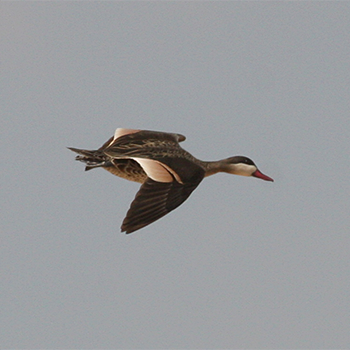 Instead, we headed north to Idan to successfully chase a long staying Red-billed Teal (from Africa!) 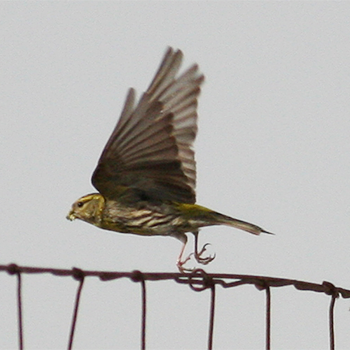 at the local sewage works. 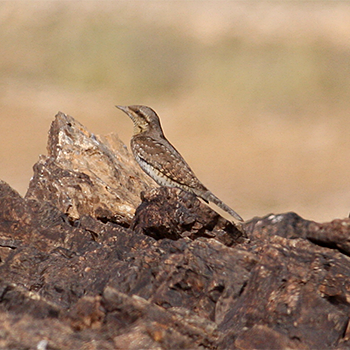 The same route ultimately brought us within range of Long-billed Pipit country and we were soon watching a pair with an active nest on the southern slopes of the Judean foothills. 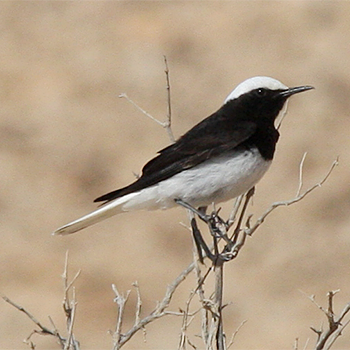 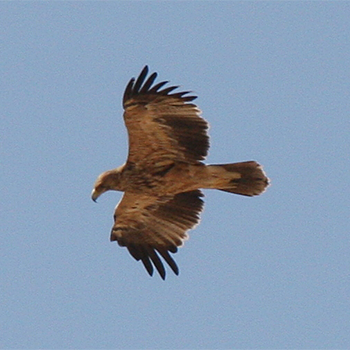 Alongside the pipits, Chuckars, Blue Rock Thrush, Black-eared Wheatears, Spectacled and Rüppell’s Warblers could be found whilst overhead, Alpine and Pallid Swifts with hundreds of cranes migrated towards the Dead Sea. 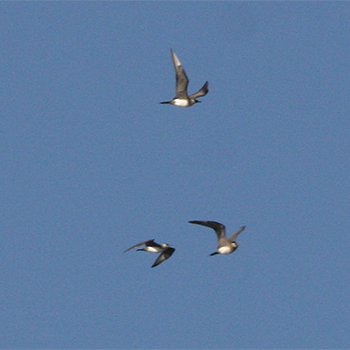 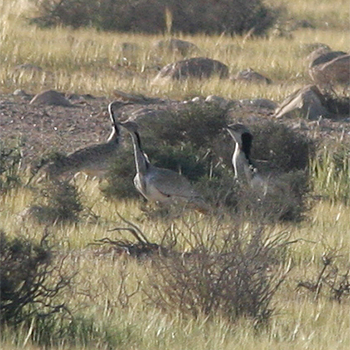 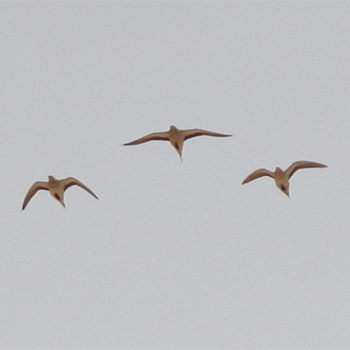 The following morning saw us up early for the Macqueen’s Bustards of Nizzana – and Frank found them straight away! 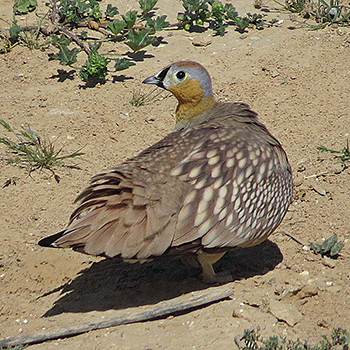 The remainder of the morning gave us Cream-colored Coursers, Crowned Sandgrouse, Southern Grey Shrikes and the first Ortolans of the spring. 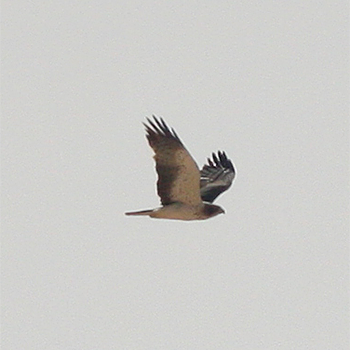 No trip to Israel would be complete without a good chase for a rarity and the subject bird for many on the tour was a long staying Bateleur in the southern Judean hills. 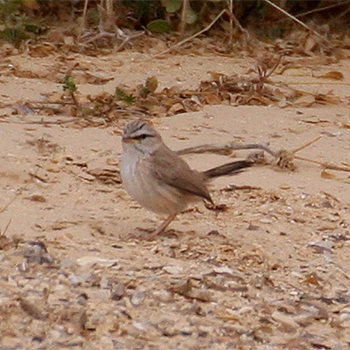 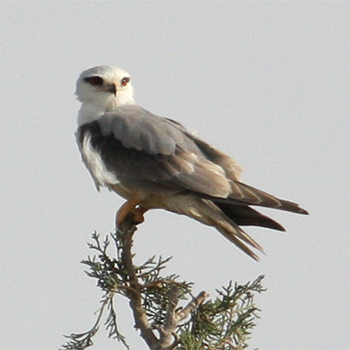 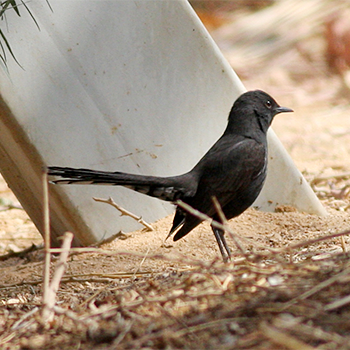 Such was the interest in this bird that it had already been mentioned before we’d even started the tour at Ben Gurion airport on the first day! 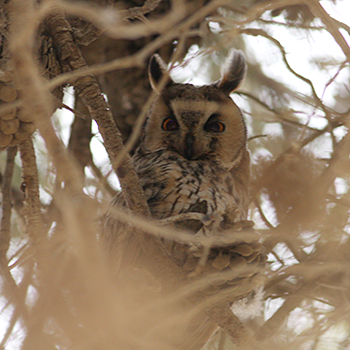 We spread our effort over two afternoons in the Kiyrat Gat area but never did find the Bateleur, the perils of twitching perhaps and the only disappointment of the tour. 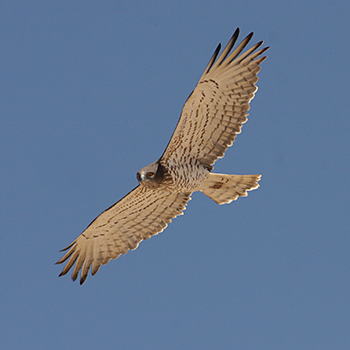 On the other hand, the search for it brought us many excellent species including an unexpected number of Black-winged Kites, the only large scale migration of Great White Pelicans of the tour, three species of harrier and a nesting European Serin. 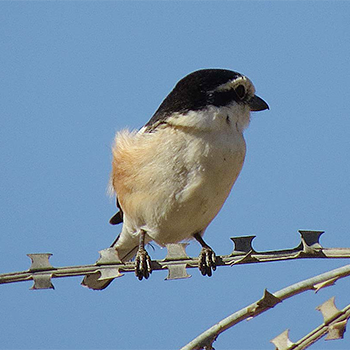 In a sense, that’s the magic of birding in Israel, even if we don’t connect with our target species so many other species await discovery. 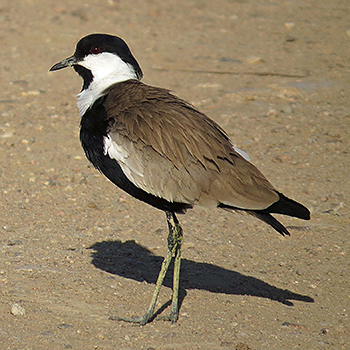 As with each and every spring in Israel, 2016 was very different to previous tours and doubtless 2017 will have more variety in store for us as well. 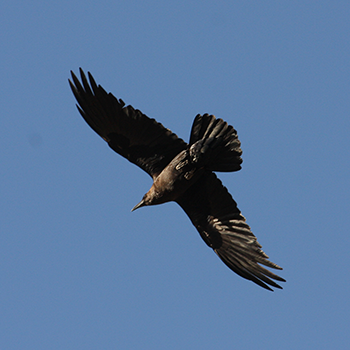 Special thanks go to our jovial and highly-enthusiastic group, and to Peter Lansdown for his fine co-leadership.